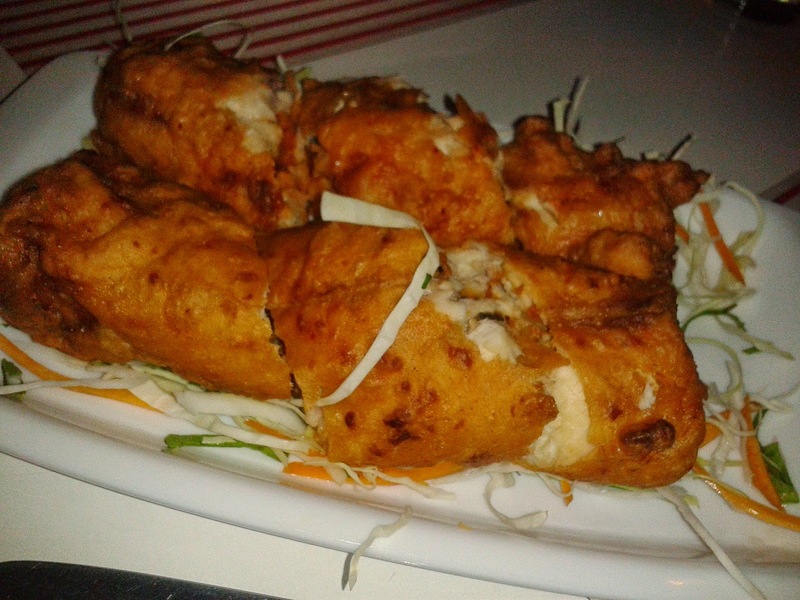 A unique dish being introduced is the Seafood Roll – delicious prawns rolled inside a basa fillet and fried. The spicy insides contrast with the fresh fish giving it a unique taste. 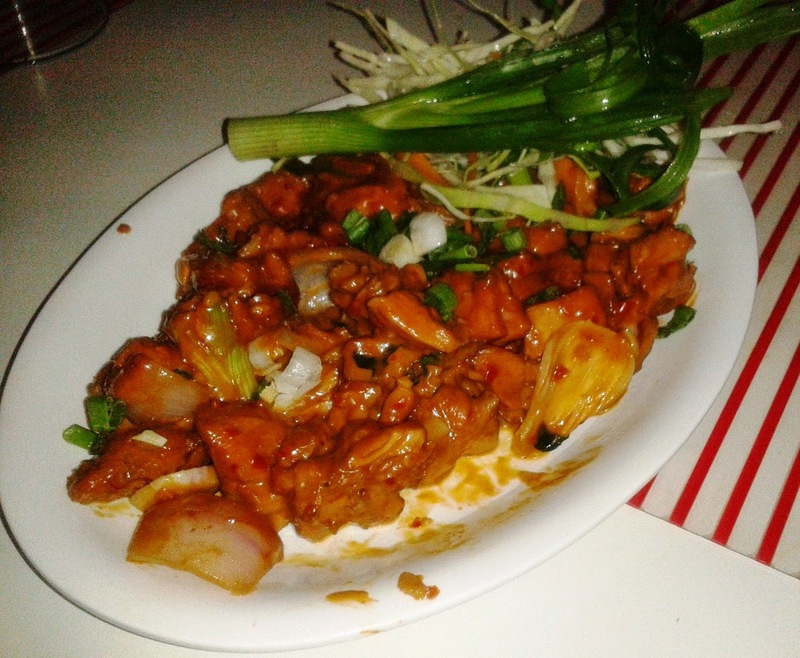 Pepper Salt Prawns served on a bed of salads is flavorful with the prawns being fresh and soft. The pepper flavor was a bit mild for a person like me, however many do like it that way. 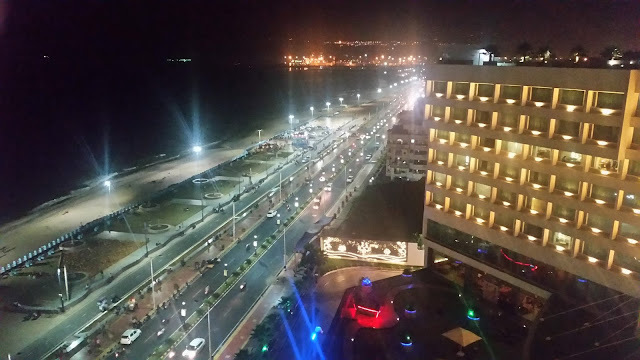 A good number of additions have been made on the vegetarian side, which is normally ignored in a lot in Oriental restaurants. 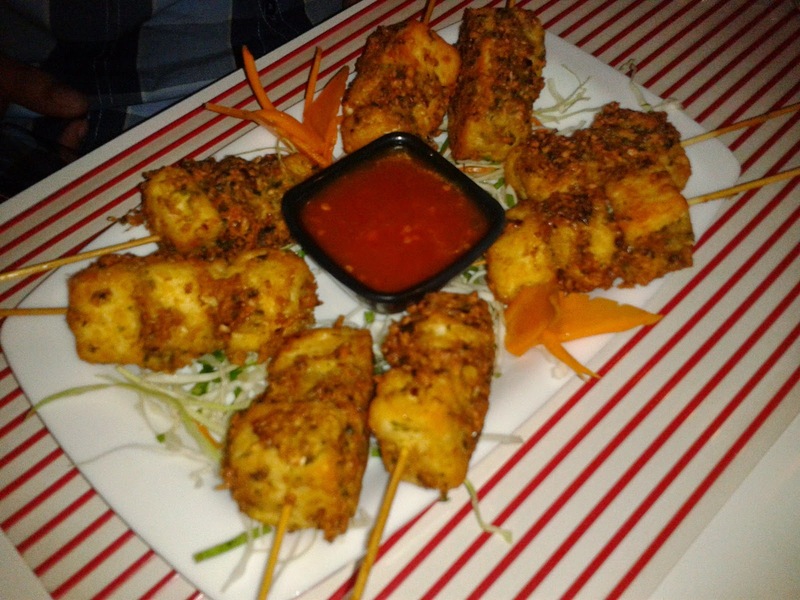 Paneer on Skewers is bound to find favour with the local vegetarian food lovers. 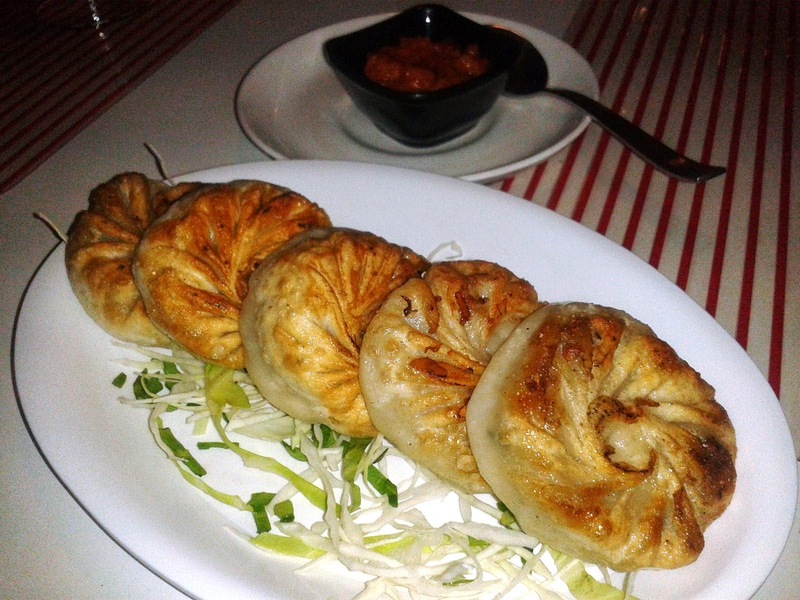 The cravings for vegetarian dumplings have been answered by Veg Pan Fried Dumplings – served with a special dip. 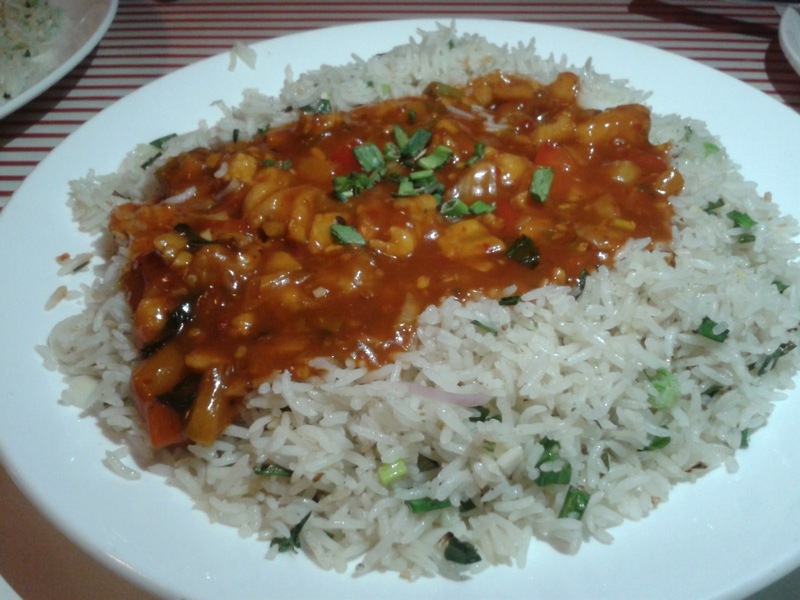 In the main courses, Khao Phad Kraphao, a basil flavoured rice served with vegetarian or non-vegetarian gravy on top. It is a combo dish complete in itself. Great for a single person grabbing a quick lunch. And finally there is Phad Thai Phak, the spicy Thai Fried Rice which can be combined with any of the side dishes. Thai Roasted Chicken in coconut gravy is a perfect foil for it. 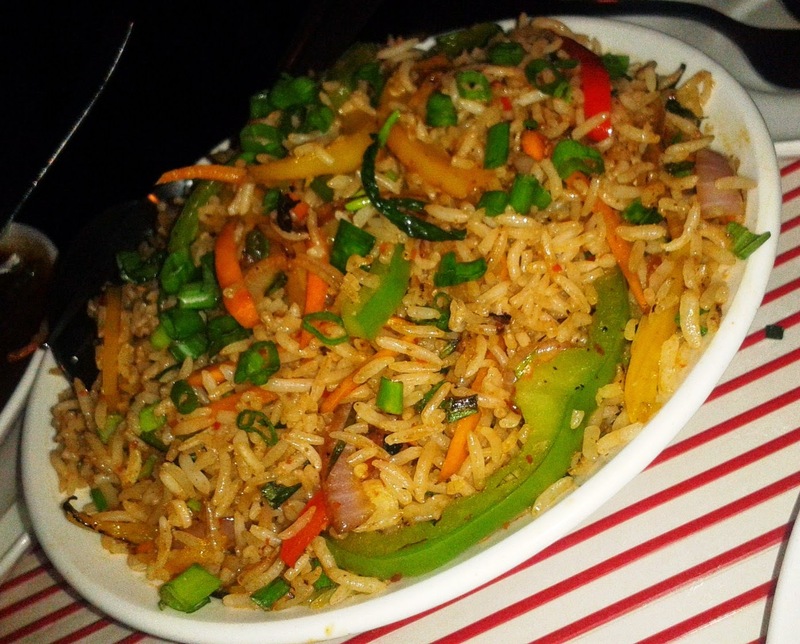 However I loved the fried rice as it is without any sides too. 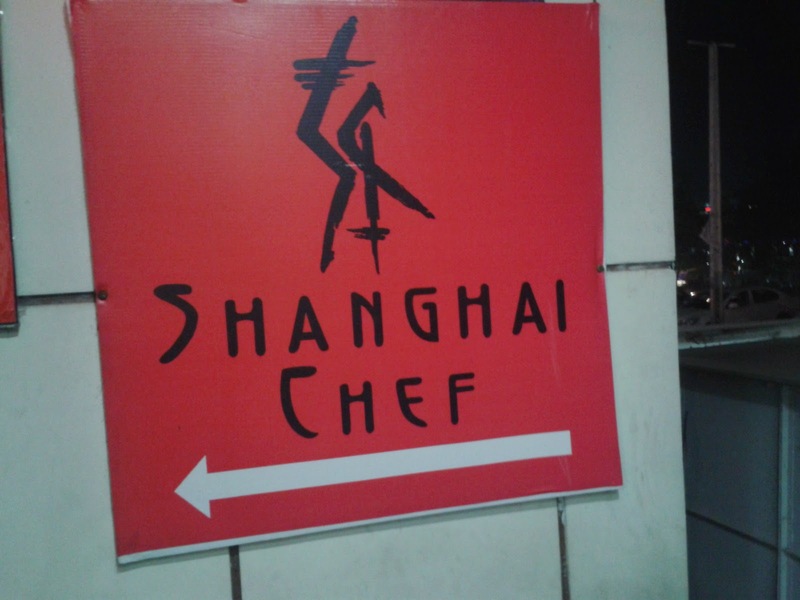 The old favorites of mine such as Drunken Prawn Soup, Crab Soup, Volcano Chicken and Nasi Goreng Nenas remain in the menu. 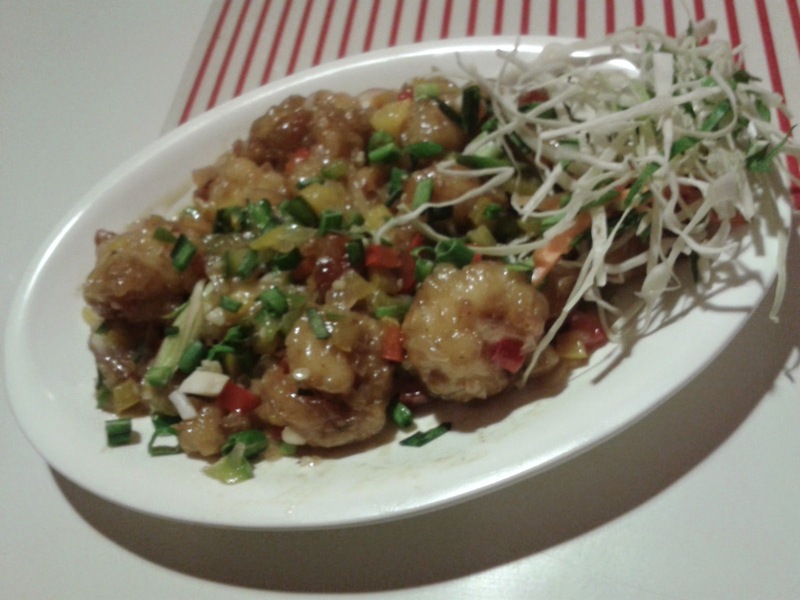 The new additions offer fresh choices to the fans of Chinese food in Gachibowli. 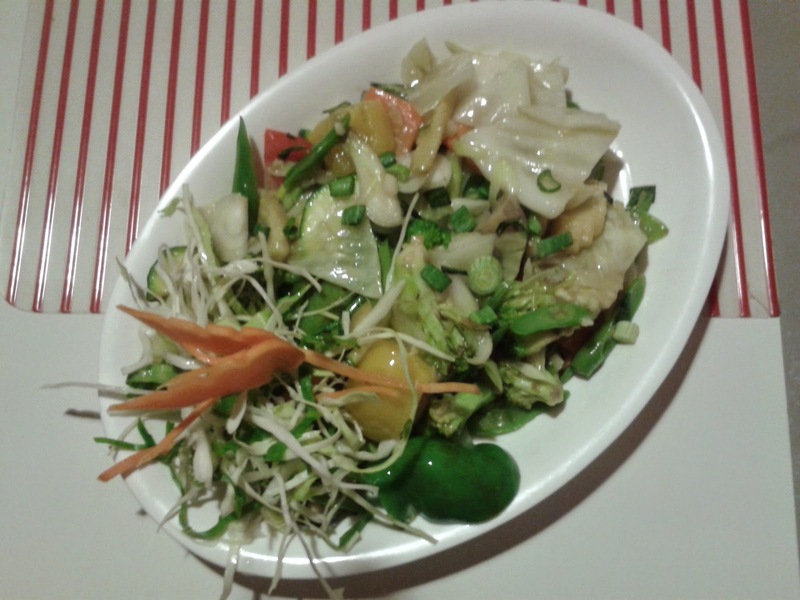 It is one of the few places serving Chinese food who has kept the vegetarians in mind while enhancing the menu.